Use our Link Builder to create a proxied link — a link with the Library’s URL prefix — to ensure PSU students, staff and faculty can access licensed online content from off campus. Use the Link Builder to add the PSU proxy prefix to your persistent link or DOI. After using the Link Builder, your links will appear like the examples below. Copy and paste the link into your email, document, web page, or D2L reading list. Insert Quicklinks does not work for linking to Library resources. Databases will use symbols like this one to indicate that a permalink option is available. 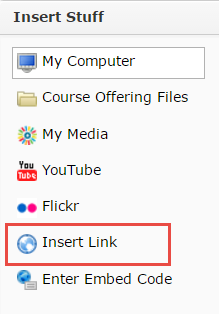 By clicking on this symbol, or one similar, a pop-up window will open that contains the link. Copy and paste this link. Occasionally, permanent links will be referred to as stable without any symbols. Databases like JSTOR rely on these rather than the permalink or DOI functions to provide persistent links to their articles. A Digital Object Identifier — DOI — is a persistent unique identification of an object of any type. These will look like a series of numbers with some punctuation breaking up the various sets (e.g. doi:10.1000/182). For the following databases, with the exception of JSTOR, links are ready to use – the Library proxy prefix is already prepended, and there is no need to use the Link Builder.